Eric began running when he was nine years old. His first race was the Police Pace 5K in 2002, hosted by the Howard County Striders. Shortly after he began to participate in the Howard County Junior Striders program. Eric ran cross country and track for Reservoir High School in Fulton, MD. Throughout high school, he collected multiple school records, county, and state championships. He was recruited to run cross country and track for UMBC. Eric had a successful four years of collegiate running, setting multiple PRs and competing in 12 America East Conference Championships. 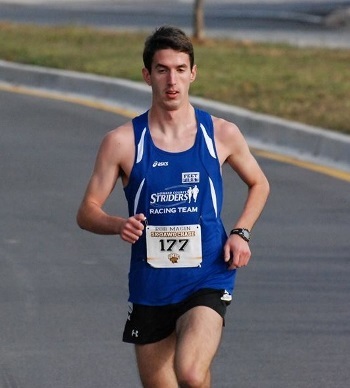 Now that he has graduated college, he is back to road racing and strives to lower his PRs in the longer distances.